I'm looking forward to trying something different of this author's. But they are also strong and brilliant and have the power to move mountains. Jen is the kind of funny, honest writer that makes you laugh and unclench at the same time. I really enjoyed this book! 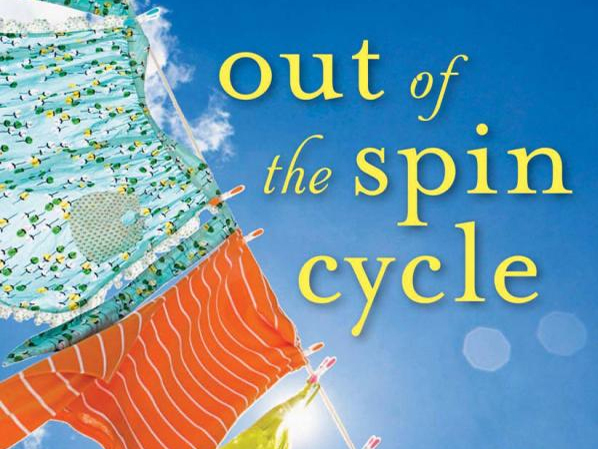 I had not heard of Jen Hatmaker or the book Out of the Spincycle until that time. This is a devotional for the woman inside the mom - the Bible student, the learner, the world-changer. They are reminders and thoughts that help me as a wife and mom. Believing in Jesus means transformation—how could it mean anything less? This is a devotional for you--the woman inside the mom--the dreamer, the learner, the world-changer. But she is honest, straight forward, and provides thought-provoking solutions that are biblical. In Shauna's warm and vulnerable style, this collection of essays focuses on the most important transformation in her life, and maybe yours, too: leaving behind busyness and frantic living and rediscovering the person you were made to be. By subscribing, you get access to a huge library of multimedia content, which is updated daily. This book was very sweet, if not incredibly realistic. Bestselling author and speaker Jen Hatmaker takes the words and deeds of Jesus, adds the humor of a mom's observations on life, and offers messages of grace and encouragement. I think this was the first mom-devotional I truly enjoyed and gleamed from, it wasn't just for the moms of little ones like so many others I have read. But somehow women have gotten the message that pain and failure mean they must be doing things wrong, that they messed up the rules or tricks for a seamless life. She shows overburdened moms forty things Jesus doesn't expect them to do on their own. Women have been demonstrating resiliency and resolve since forever. She begins each chapter with a dose of hilarity and with great skill turns that humour into a devotion that is really applicable to a young moth Out of the Spin Cycle: Devotions to Lighten Your Mother Load. Now, in this challenging and inspiring new book, Rachel exposes the 20 lies and misconceptions that too often hold us back from living joyfully and productively. But they are also strong and brilliant and have the power to move mountains. And many moms have no other friends that are also moms. So put aside that to-do list for a moment and discover the ways Jesus can lighten your mother load. What lists and systems and self-help books have failed to do for young moms in the trenches, Jesus can accomplish blindfolded. I have been so affirmed in reading this book, but also challenged in how to better love God, my husband and my children - in immensely practical ways. 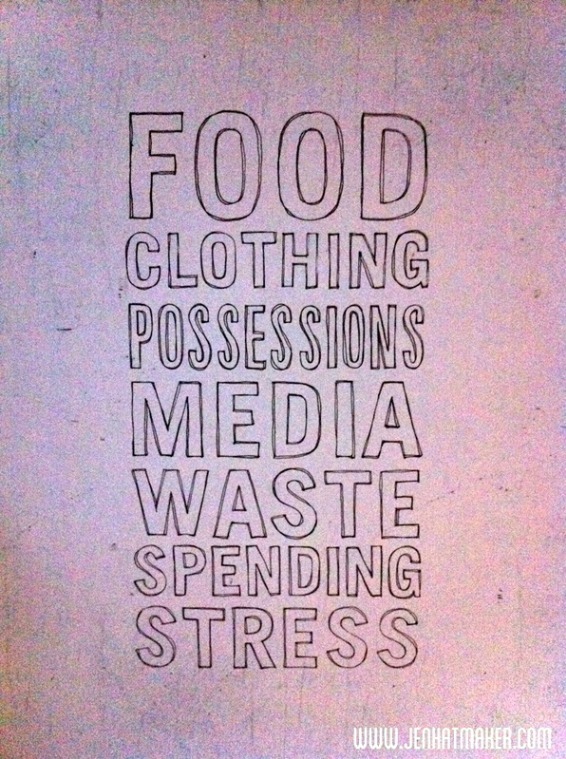 And here's a secret: Jesus's to-do list is way shorter than yours. She shows overburdened moms forty things Jesus doesnt expect them to do on their own. What lists, systems, and self-help books have failed to do for young moms in the trenches, Jesus can accomplish blindfolded. Bestselling author and speaker Jen Hatmaker takes the words and deeds of Jesus, adds the humor of a mom's observations on life, and offers messages of grace and encouragement. This is a devotional for you--the woman inside the mom--the dreamer, the learner, the world-changer. Lysa TerKeurst understands this deeply. Recently picked this up on a markdown Kindle version and read it as a little bedtime reading, on and off. And many moms have no other friends that are also moms. Read the book on paper - it is quite a powerful experience. With a heart for the women of her generation, she speaks at retreats and conferences around the country. But she is honest, straight forward, and provides thought-provoking solutions that are biblical. Covering issues like worry, marriage, priorities, money, and the comparison trap, this dynamic Bible teacher brings Jesus's message alive in short, to-the-point devotionals for your busy life. Some of the stories that Hatmaker shares, and particularly her thoughts on them, turned me off in the earlier chapters. It's available at your favorite bookseller of Revell books, a division of Baker Publishing Group. 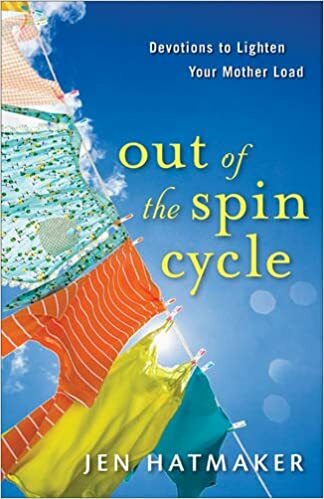 In Out of the Spin Cycle, author and speaker Jen Hatmaker takes the words and deeds of Jesus, adds the humor of a young mom's life, and offers messages of grace and encouragement. Great short thoughts, stories, and passages of scripture applied to universal themes of motherhood. Moms are the middle of the flow chart; the arrows of exertion flow constantly out from us, but when no arrows of strength, grace, and peace are flowing in, the whole mechanism is in danger. With honesty and relatable humor, this compilation of best-of writings and new pieces from Annie will give you the inspiration to embrace the path and the plan God has for you and experience personal growth. Then she decided to stop allowing fear to hold her back. 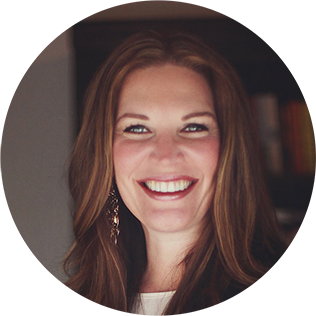 Jen Hatmaker is the author of eight books and Bible studies, including A Modern Girl's Guide to Bible Study. If you love Jen Hatmaker, you'll love these devotions. She is flat out the most hilarious Christian writer I have ever read. She and her husband, Brandon, founded the Legacy Collective, a giving community that granted more than a million dollars in its first year. But she's also discovered that our disappointments can be the divine appointments our souls need to radically encounter God. My work is to present them to Jesus as single-minded disciples, prepared and equipped to live out their mission. Yes, moms are busy, they need a break, and they'd just like a shower. Jen and her husband, Brandon, reside in Austin, Texas with their three children, and lead the ministry work at Austin New Church. Covering areas such as worry, marriage, priorities, money, and the trap of comparison, this lively Bible teacher brings Jesuss message alive in a format geared to the short moments moms have that can be allotted to reflection. Once Bob learned about the deep goodness of God, he began to learn about the great power God gives His kids when they live a life full of love for others. I'm curious now to read some of her other books. Many of us are on our own.